A Lyft driver who was transporting four passengers in his Volkswagen Jetta died in a collision with a vehicle being operated by someone high on crystal meth and cocaine. Reports indicate that the at-fault driver stole a BMW and wound up crashing it into the Lyft driver’s Jetta. The at-fault driver is currently facing criminal charges for DUI manslaughter. This is a somewhat unique situation since most drivers charged with DUI manslaughter consumers an excessive amount of alcohol, not hard narcotics like meth and cocaine. A representative from Mothers Against Drunk Driving commented on the fatal accident and subsequent charges stating that it is the only time she has ever seen a DUI case where the influence is meth, according to the Miami Herald. Officers reportedly discovered found a drug pipe just outside the stolen BMW. In addition, three baggies of suspected drugs were found on the driver when he was being treated at the hospital. Tests of the driver’s blood and urine also confirmed that he was on meth and cocaine. The accident described above is both tragic and infuriating. Just think, a man working to provide for his family had his life taken by the reckless and egregious conduct of another driver high on meth and cocaine. If you lost a loved one due to the reckless conduct of another driver, you may be able to pursue financial compensation through a wrongful death claim. 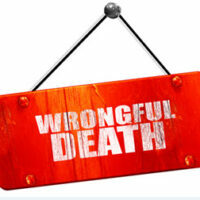 In most wrongful death cases, you can pursue damages for medical expenses, funeral expenses, and pain and suffering. In certain cases, you may also be entitled to punitive damages. Punitive damages are unique in that they are not meant to compensate the plaintiff in a lawsuit. Instead, they are meant to punish the reckless driver for conduct that was so reprehensible that the court wants to send a clear message to others similarly situated that this behavior carries significant financial repercussions. As mentioned, in many personal injury and wrongful death cases, the issue of punitive damages is moot and not a realistic pursuit. This is because there is a very high evidentiary standard that must be met for a court to even consider allowing a jury to hear evidence concerning a potential award of punitive damages. Typically, a court will only allow this category of damages to be pursued if the negligence that took the life of your loved one was reckless and wanton. Basically, there needs to be evidence that the defendant’s actions constituted a flagrant and reckless disregard of human life or a lack of care indicating a complete indifference to the ramifications of their actions. Even if the high evidentiary threshold is met, there is another obstacle. Under Florida law, punitive damages are currently limited to three times the amount of compensatory damages awarded, or $500,000, whichever is greater. Though, there is an exception for “unusual circumstances” that may allow for a larger punitive damages award. If you lost a loved one in a preventable auto accident, you need skilled and aggressive representation to hold the at-fault driver accountable. Contact the seasoned trial attorneys at the office of Alan Goldfarb, P.A. in Miami.